Behind the custom made wood gate doors sits this beautiful home that encompasses it All. You enter into what will grow into a private front yard; lush and tropical. This Spanish charmer bungalow is right smack in the heart of Echo Park. Close to Downtown, near all the L.A. action and Dodger Stadium and yet located on quiet palm lined street over looking a picturesque Elysian valley,. Amazing views of the city and Downtown L.A. from the deck. The California bungalow was restored with a wonderful balance of vintage character and integrating some of todays modern comforts. Special attention was given to details. Artistic and stylish tile work throughout house. Gorgeous fireplace in living room. Open floor plan makes entering a breeze…and speaking of entertaining, the party can continue on the terraced backyard to take in the views. One bedroom with its ensuite bath and spacious family room downstairs which leads to an outdoor patio. 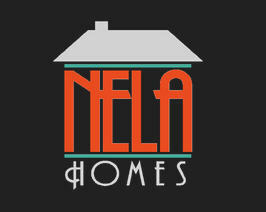 Nela Homes is proud to present this re-imagined bungalow that has the “wow” factor at every turn, Featuring four spacious bedrooms and four amazing bathrooms with bold and beautiful tile design finished off with aged brass accessories. The kitchen is equipped with dark gray cabinetry with gold trim, Calcutta quartz counter tops which allows for plenty of chefs at any given time. The kitchen leads into into a special room that affords endless possibilities with its counter height built-in desk and additional storage and shelving for cookbooks. The master bedroom is large enough to hold a king size and yet feels Cozy. A large walk in closet with built in closet organization. The master bath is an awesome private oasis. Cladded zebra marble walls, simple and elegant luxury with a walk in shower and a separate free standing tub. Nice back yard with a wood deck to entertain friends and family. Great bonus space is annexed to the garage an approx 400 sq ft bonus below home.